I've been frustrated by garlic presses, until I found 'the one'... I'm a fan of well designed products, and in many cases it's difficult to tell what's going to work well until you get your hands on it. In the case of the humble garlic press I've had a few - some fragile, some that require too much force because they don't have the leverage, and most that were simply a pain to clean. I used the Ikea Koncis for a while, and while it was robust and simple, cleaning the garlic out from between the pins and from the inside of the barrel was a pain. This wasn't it. I did like the design of the Orblue Propresser press and similar because the pressing tray comes out for cleaning, but generally it's a fiddly design. Then I found the Joseph Joseph Easy Clean Garlic Press. It's simple, consisting of 2 separate parts that fit together easily - the metal grill and the hard plastic plunger (for want of a better word). The parts are all cleanly designed with no crevices or pins to capture garlic. You simply drop the garlic in, squeeze, then pull the green handle out to use as a scraper to capture the crushed garlic. Then flip the metal part over to use the other bit of the green handle to clean out the leftovers, then chuck it in the dishwasher. 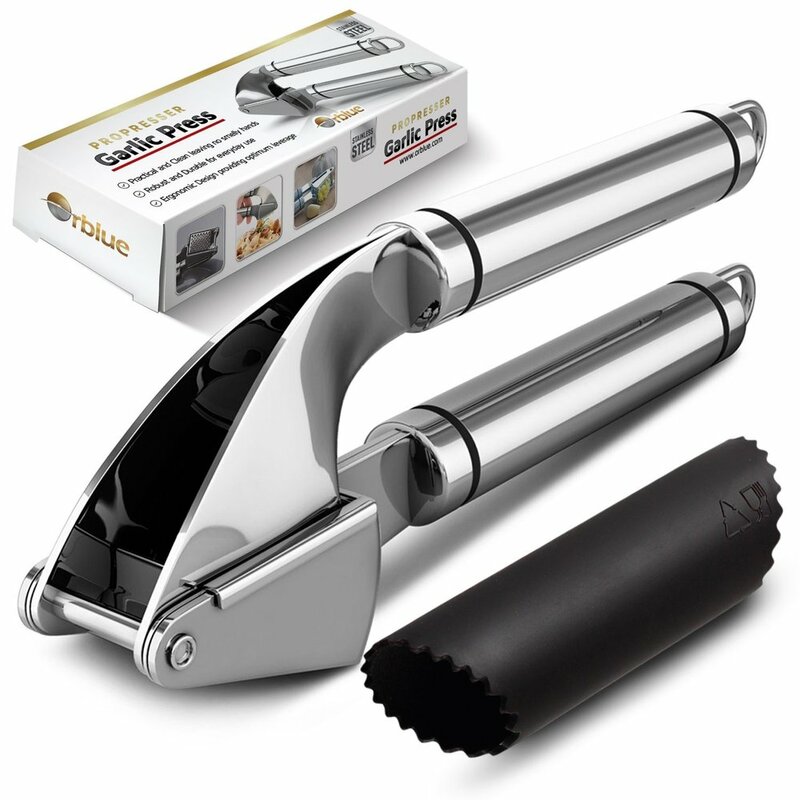 For me, the Joseph Joseph Easy Clean Garlic Press is simply the best of the bunch (affiliate link).